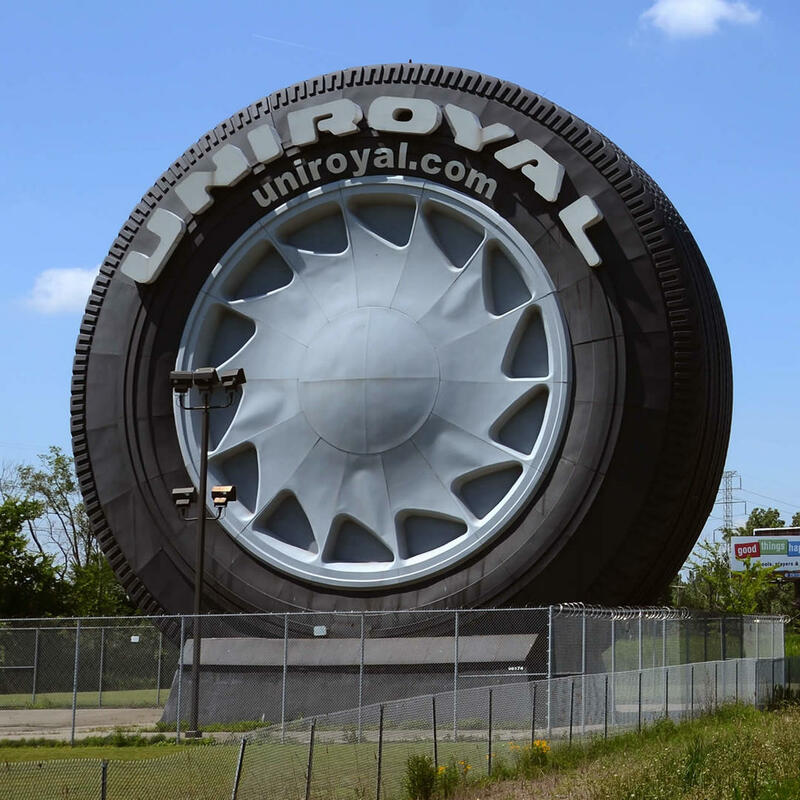 The giant tire was originally crafted as a ferris wheel for the 1964 New York World's Fair. It's home is currently along the Interstate 94 where it has sat since 1966. In 1998, a giant 11-foot nail was placed in one of its treads, but unfortunately it was removed and donated to the city - which meant all photos taken afterward were sans-nail. Since the tire is on private property, all photos have to be taken from a respectful distance.